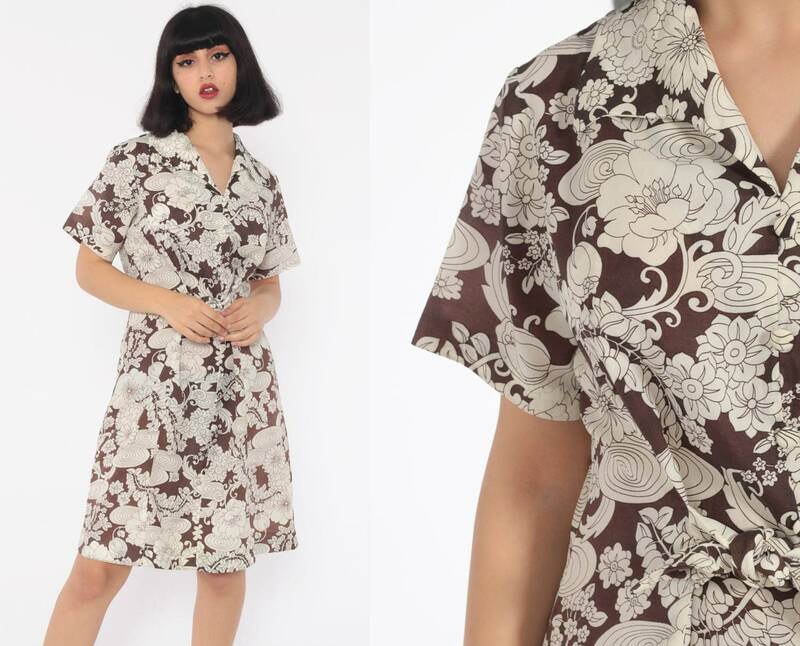 Vintage 70s dress in brown and white with a floral print. Short sleeves, with a large collar, front tie, and a rear zip. Mini length. Condition: Very good vintage with light general wear. Has some light discoloration throughout. Best fits women’s: Medium to large.